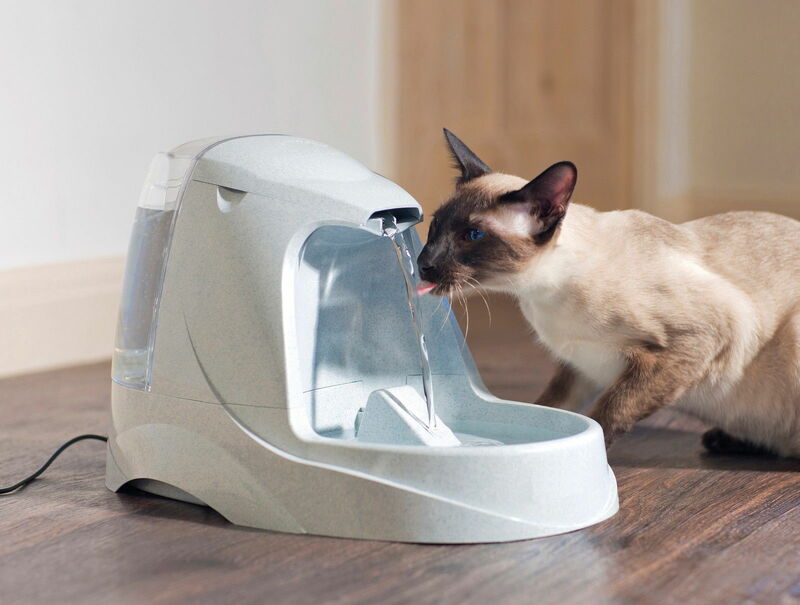 Selecting a cat drinking fountain can be a daunting prospect if you’re not familiar with the various features of this type of device. The huge selection of brands and models makes it feel like whatever you choose there will always be something slightly better that you’ve missed out on. The Drinkwell Platinum may just be the fountain you’ve been waiting for. Check the latest price for the Drinkwell Platinum Pet Fountain. The first thing to note about the Drinkwell Platinum is that it’s a standalone unit. That’s to say you don’t need to hook it into the mains water supply to keep the water flowing. Instead it uses a massive 1.3 gallon (166 ounces) water tank to keep your puss supplied with inviting fresh water on demand. The supply tank is fitted with a convenient lid which snaps into place to prevent it being removed by accident. This also prevents airborne contaminants from settling in the water tank resulting in cleaner drinking water. filter is of a coarser grain to trap larger items of debris before they reach the pump and cause damage. The charcoal filters are a lot finer and do a great job of removing odor and unpleasant tasted from the water. The Drinkwell Platinum features a new submersible pump which results in a less noisy product although there’s still some noise. It’s well known that some cats can be wary of running water. 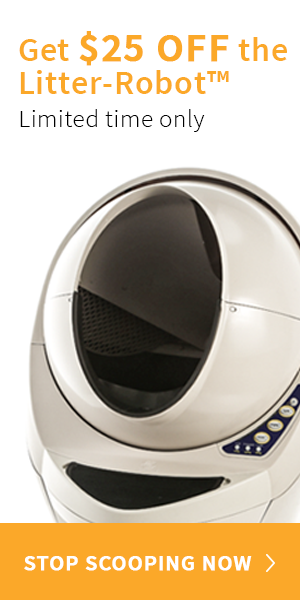 This unit acknowledges that by including a flow control feature which allows you to adjust the flow of water to better suit your pet. The unit is 11 x 16 x 10.5 inches in size which makes it on the large side compared to competing devices. However it’s still fairly easy to place in a corner or against a wall where your cat will feel safe while drinking. You can tuck the cord away from view using the “cord tuck” feature to prevent your cat from damaging it and there’s an inlaid ramp which breaks the flow of water to prevent splashing. This Drinkwell Platinum fountain is really easy to disassemble for cleaning. The various components are dishwasher safe and the plastic construction means that you can remove any deposits with simple soap and hot water. However, if you find there are any stubborn marks you should try soaking the components in a vinegar solution before washing. Standalone unit. No difficult setup or hook ups to the water mains. Requires a weekly deep clean i.e. take it apart and clean it thoroughly. Automatic drinking fountains can be something of a stab in the dark. There are so many subtle factors at play, many of which are known only to your cat. My cat Andrew has been known to drink from a dripping faucet so I had high hopes for this fountain. The main problem with this, and with any large, new piece of equipment, is the novelty factor. It may take several days for your cat to become accustomed to this strange new contraption that’s suddenly appeared in the middle of his territory. Even though it had the thumbs up from Andrew, there are some issues to consider with the Drinkwell Platinum. It requires weekly cleaning and maintenance to keep it clean, working and to prolong the life of the unit. The weekly deep clean can be challenging as there are some hard to reach areas. The noise from this unit isn’t terrible, but on the high flow setting it’s definitely noticeable and may be off-putting for more nervous cats. All in all a decent unit for the money but with some flaws. 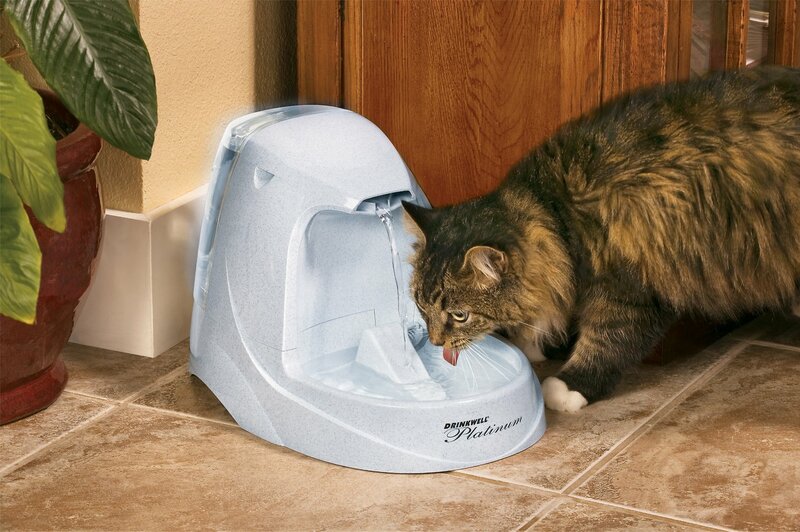 I’d recommend this cat water fountain for pets who habitually lick water from a faucet or tap. If your cat is already used to running water then they’ll have no problems adjusting to this. If your cat is of a more nervous disposition or is easily scared by noise it might be more challenging. That doesn’t mean they won’t adapt over time but it may require a bit more training to get full use of the Drinkwell Platinum.